Former Union Minister, P Chidambaram would find himself in a spot of bother after the Public Accounts Sub Committee sought a CBI probe against him for the controversial 80:20 gold import scheme. The PAC has alleged that Chidambaram had ignored objections of the Department of Revenue Intelligence. A flight attendant of a private airline who was arrested by the Directorate of Revenue Intelligence was part of a global hawala syndicate, investigations have revealed. The man arrested with fake Rs 2,000 notes worth Rs 7.56 lakh is said to have smuggled the same from Bangladesh. This may be one of the biggest gold smuggling rackets that has been busted by the Directorate of Revenue Intelligence of DRI. The DRI suspects that a syndicate led by a Delhi-based businessman may have smuggled in 2,000 kilograms of gold with a foreign marking from Dubai. 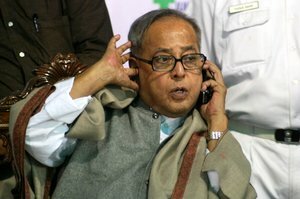 The bugging of Pranab Mukherjee’s office continues to be a murky affair. The Intelligence Bureau has dismissed the incident and even stated that those were not equipments but chewing gum in the office of the finance minister. The question then would be, if there was really nothing in it, then why did the Finance Minister even write a letter to the Prime Minister seeking his intervention into the matter. The obvious questions that come to mind are, was it corporate espionage, was it an insider job or was it a result of the running feud between two ministries in the government? It is a known fact that any agency that needs to bug a person or even taps his or her calls needs to get an approval from the Home Ministry. This again leads to another question as to why was this matter not referred to the Home Ministry first and why was the Prime Minister appraised of this first. While these are aspects that may never come out in the public domain another question that needs to be asked if it is that simple to walk into a finance ministers office and bug it? The details that are emerging from the probe into this matter appear to be murky. Was someone who is a rival of the Finance Minister trying to listen in to the conversation? Was there a corporate espionage into the matter since these persons are the ones who stand to gain most from the discussions within the finance ministry? Was it someone from the CBTD who was doing this for additional information and passing it on to either the corporates or the rival ministry? Sources in the intelligence bureau make it clear that there is nothing much to this incident and it looks like mischief. It is not easy to gain access into the office of the Finance Ministry and then bug it. It looks like a case of mischief to us, the sources also added. Placing a bug in the office is not a difficult task. An expert who can gain entry into the office can place one in less than 10 seconds. The bugs are normally placed near laptops, telephones and even under a table. A double sided tape is normally used to place these bugs and these equipments are extremely small and not easily visible to the naked eye. The capability of these bugs vary and depending on the capacity these bugs could be placed to listen into between 20 days to 10 years also. In the instant case on hand it appears that it was a shoddy job done at the end. Chewing gum is something that could not have stayed stuck for such a long time since it does tend to fall off when it becomes dry. It appears that the person whoever has placed these bugs took them out in a hurry leaving the adhesive behind. Bugging falls under the purview of the laws relating to tapping. The Finance Ministry has three wings under it- the DRI, ED and the CBDT. All these three agencies have the power to carry out arrests which would mean investigating powers. This would automatically mean that they do have the power to bug or tap calls of any person. Hence these three agencies which have access to the Finance Minister’s office also have the knowledge of placing bugs. However the law is clear and no agency cannot tap another persons conversation unless and until a certain procedure is followed. In the PUCL vs Union of India the Supreme Court had said that a telephonic conversation in private without interference would come under the purview of the right to privacy as specified by the Indian Constitution. Further the court also held that the Home Secretary of India or the State Government has to issue an order authorizing that the phone can be tapped. However the decision to tap a phone has to be reviewed by the cabinet, law and telecommunication secretary. Such an order needs to be reviewed in two months failing which fresh orders need to be passed. Such an order shall be in force only for two months unless there is another order, which will give the home secretary the right to extend it by another six months only. Strong reasons have to be specified in order to issue such a directive. Records relating to phone tapping should be used and destroyed within two months. The order, which will be passed by the home secretary, shall be specific in nature. The invasion of privacy shall be minimum in nature and the reasons should be strong before an order is passed failing which such an order can be subject to a court review. Experts are of the view that going by the guidelines of the Supreme Court it is highly unlikely that any of these agencies may have been given persmission to tap or bug are the Intelligence Bureau, the Research and Analysis Wing and the Central Bureau of Investigation. The other question that crops us is access to the Finance Minister’s office. The persons who could have got easy access to this office are the ones who are under this ministry. The other possibility is whether the other agencies under the Home Department could have staged such an exercise. The bigger question now is, with the Finance Minister himself chosing to downplay the incident will the actual truth ever come out.